Liverpool breezed past Bournemouth at Anfield with Sadio Mane, Gini Wijnaldum, and Mohamed Salah getting on the scoresheet. The win takes Liverpool to the top of the table. Bournemouth made it difficult for the hosts during the initial phase of the first half and had a chance to take an early lead through Ryan Fraser. However, they found themselves behind in the 24th minutes after Sadio Mane headed in James Milner's cross from close range. Liverpool doubled their lead four minutes after the half-hour mark as Gini Wijnaldum dinked the ball over Artur Boruc. Soon after the restart, Jurgen Klopp's side scored their third goal after Mohamed Salah netted his 20th of the season (in all competitions), rounding off a delightful move that was started by Naby Keita's well executed through ball. In this article, we take a look at the five talking points from Liverpool's win against Bournemouth. 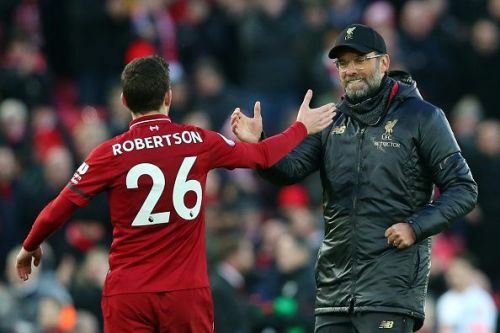 The Premier League title race saw a twist after Manchester City capitalized on Liverpool's, 'wee blip', as Jurgen Klopp's side dropped points following frustrating draws against Leicester and West Ham. Liverpool responded in fine fashion on Saturday as they secured a comfortable 3-0 win against Bournemouth. 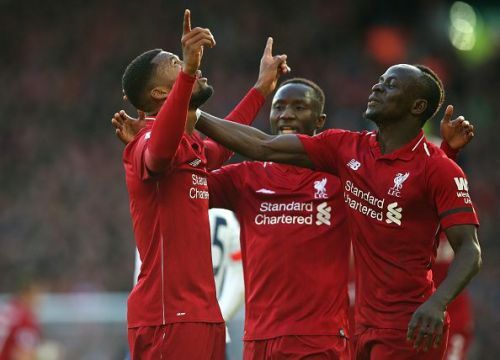 Liverpool got off to a slow start and found it difficult against a Bournemouth side that crowded in midfield and defended in numbers, which did not allow Fabinho, Keita, and Wijnaldum to play in between the lines. However, Liverpool were patient and kept probing against their opponents. They finally got their reward and opened the scoring in the 24th minute. They got three goals in quick succession and put the game to bed early in the second half. A much-improved performance from the Reds could be attributed to the return of Gini Wijnaldum, who's composure at the middle of the park was vital to regain possession and maintain the momentum. Overall, it was a performance that would relieve Liverpool, who were stifled by their opponents in the previous two games they played.